Dr Cynthia Pauley and Dr Brian Cave, Cosmetic Dentists at Brookside Dental, Bellevue, WA, were informed September 2011 that they had been selected by a vote of their peer dentists in the Seattle, WA, area that they would be included in the 2012 list of TopDentistsTM. Their professional listings were immediately available on that prestigious website at www.usatopdentists.com. This is a wonderful recognition for these Cosmetic Dentists regarding the exceptional dentistry done by Dr Pauley and Dr Cave because only 24 general cosmetic dentists were selected for this honor in the Bellevue area. These Bellevue Cosmetic Dentists have previously discussed how to find and select a well qualified Cosmetic Dentist. 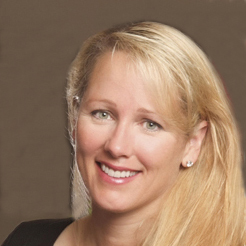 Dr Cynthia Pauley, Cosmetic Dentist, at Brookside Dental, Bellevue, WA, was informed September 2011 that she had been selected by a vote of her peer dentists to be included in the 2012 list of TopDentistsTM. Her professional listing was immediately available on the website at www.usatopdentists.com. She is listed in the General Dentist section with an emphasis on cosmetic dentistry. She was also selected by her peers for TopDentistsTM inclusion in 2011 in the General Dentist section. 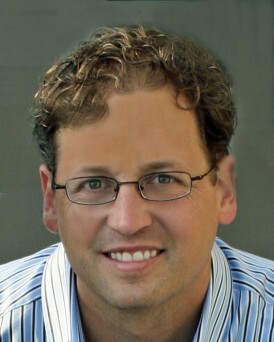 Dr Brian Cave, Cosmetic Dentist, at Brookside Dental, Bellevue, WA, was informed September 2011 that he Wwas selected by a vote of his peer dentists to be included in the 2012 list of TopDentistsTM. His professional listing was immediately added to the website at www.usatopdentists.com. He is listed in the General Dentist section. The award listings for Dr Pauley and Dr Cave will be available in a future issue of the Seattle Met Magazine. Because TopDentistsTM is based on an exhaustive peer-review survey of hundreds of general dentists and specialist dentists throughout the Seattle, Washington, area who cast their “votes” on the abilities of other dentists and specialists, and because listings cannot be purchased (and no payment is required for listing), the inclusion in TopDentistsTM is considered a significant honor award. We recently sent out a Press Release for this Top Dentists honor for Brookside Dental Bellevue. For additional information about Dr Pauley and Dr Cave and the Bellevue Dentistry services that they provide visit our Brookside Dental website. They are experts. Thanks for the compliment. Orlando Dentists. Thanks for the compliment. Thanks for the visit and nice compliment.